It’s easy to be lulled into security about your heart health if you are young, robust and in good physical shape. “Scientists speculate that silent, undetected disorders of the heart’s pumping rhythm, along with premature heart disease account for many of the sudden cardiac events (SCE) in younger, healthy individuals” according to the American Council on Science and Health. Read on for early warning signs of heart disease that should never be ignored no matter your age. Heart palpitations. Always report to your doctor when you have palpitations or a fast heartbeat or if your heart seems to skip a beat. Swollen feet or ankles can be indicative of hypertension or the heart’s inability to pump the blood effectively. Prolonged, unexplained aches or pains can be due to another illness but it’s essential to ask your doctor whether there is a chance you have heart disease. Fatigue can indicate heart disease but it can also be caused by a medication or other illness, so it’s a good idea to find out the underlying cause. Heart attacks are often accompanied by chest pressure, cold sweats, and shortness-of-breath. 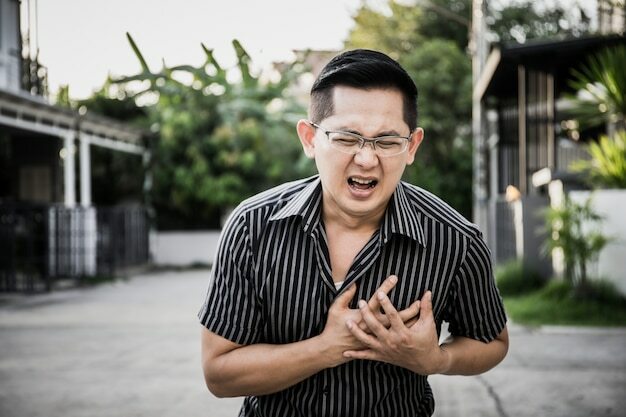 While these symptoms could be signs of asthma, heatstroke or even an emotional outburst, collectively, they can be misdiagnosed signs of a heart attack especially if you’re under 40 years old. Other symptoms to watch for include lightheadedness, nausea and vomiting or pain radiating through the jaw, arms or upper back in addition to the chest. Both men and women under the age of 40 can experience a heart attack due to Kawasaki disease or hypertrophic cardiomyopathy. Kawasaki is a rare childhood disease that causes inflammation in the arteries, veins, and capillaries. Hypertrophic cardiomyopathy is caused by a mutation in the heart muscle genes that in turn, causes the ventricle walls to thicken. Lifestyle choices are something a person can change. Smoking, heavy drinking, weight gain, illegal drug use, and unhealthy eating contribute to the risk of heart attack and should be avoided. A person with diabetes can’t afford to ignore their health because they are at a greater risk for heart attack. Samsung Galaxy S9 is coming shortly?